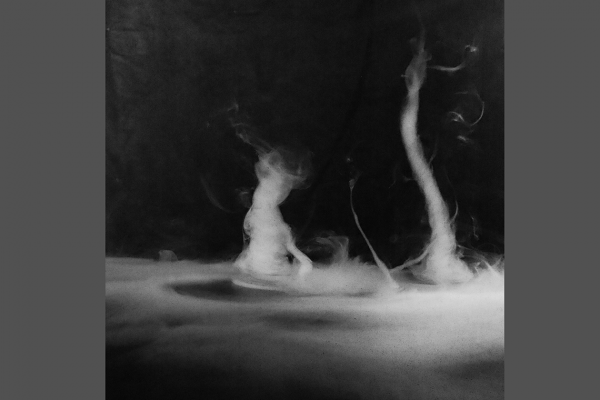 Water fog visualizes a fan-generated vortex. 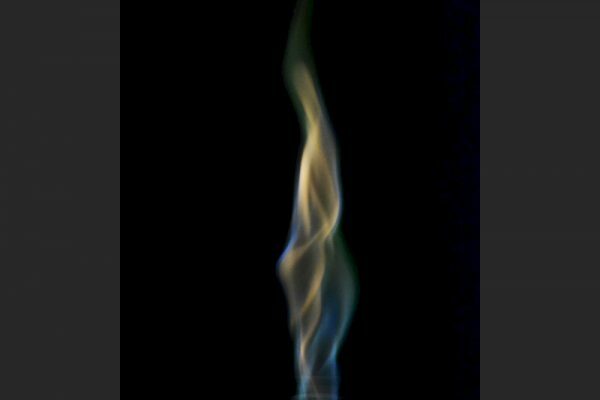 Life, death, struggles, growth. 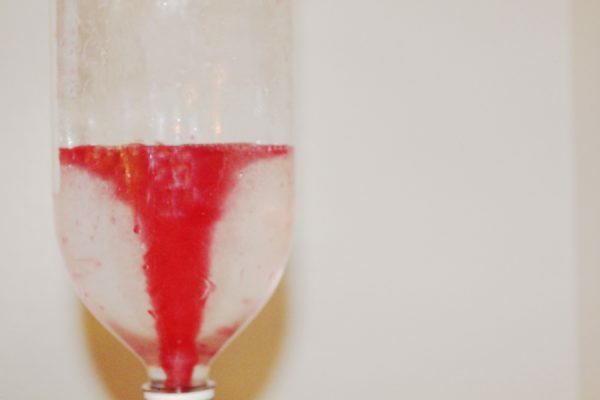 A ‘bathtub drain vortex’ forms when two water bottles are connected vertically. 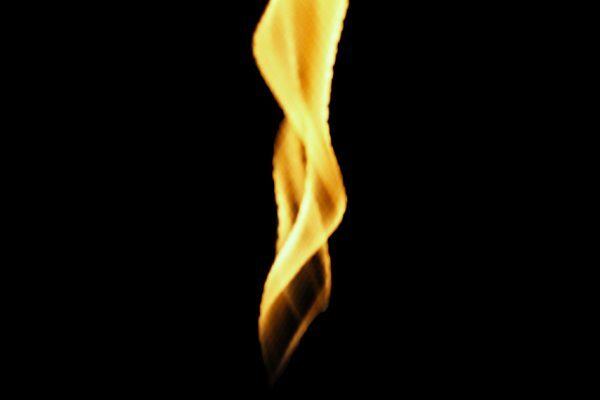 The surface of the vortex is visualized by red lamp oil. 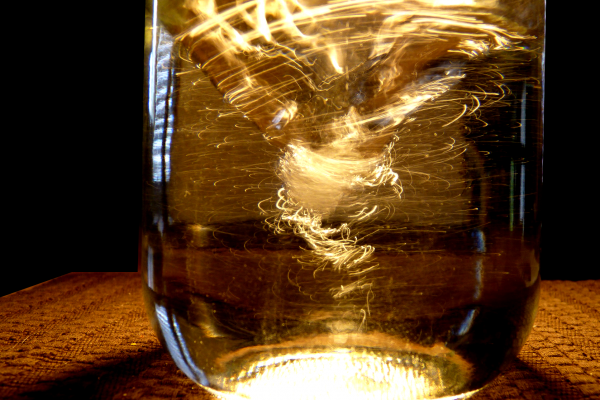 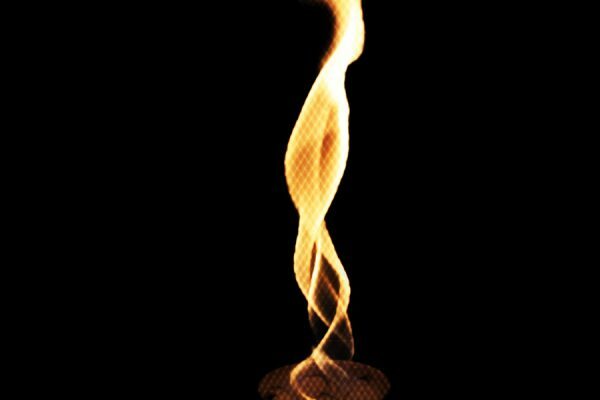 A fire whirl was created by burning rubbing alcohol on a spin table inside a wire mesh basket. 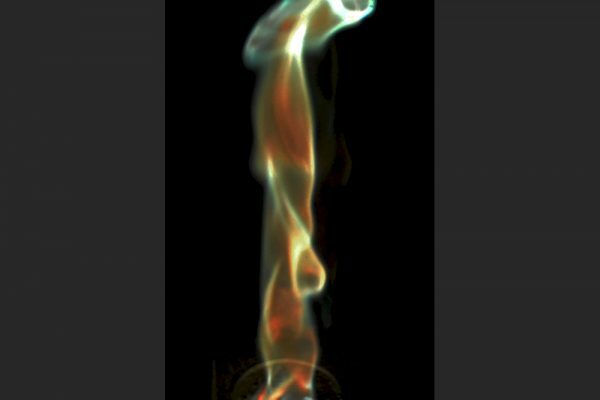 A fire whirl in a Tempest Table Top Torch, colored by ‘Rainbow Crystals’: Copper Sulfate, Ammonium Chloride and crystalline silica, amplified by an external fan. 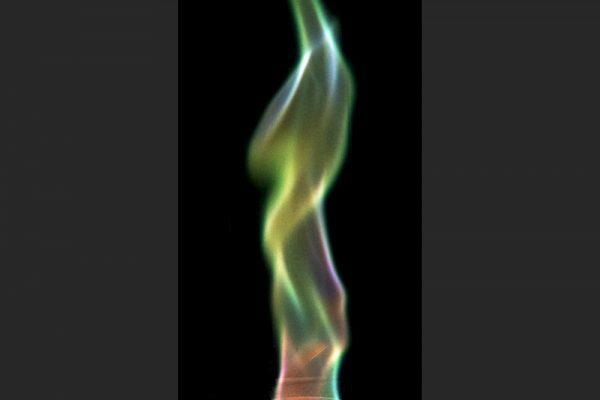 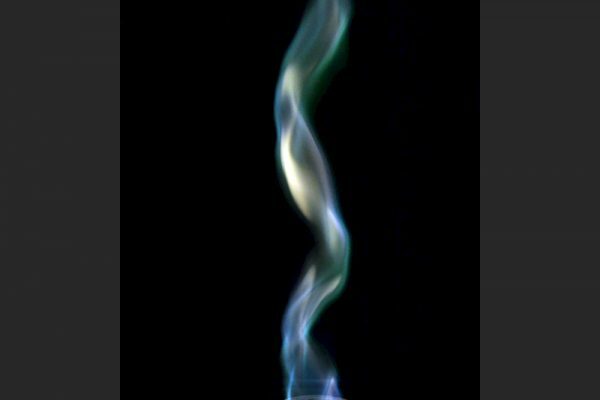 A fire whirl in a Tempest Table Top Torch, colored by ‘Rainbow Crystals’: Copper Sulfate, Ammonium Chloride and crystalline silica.